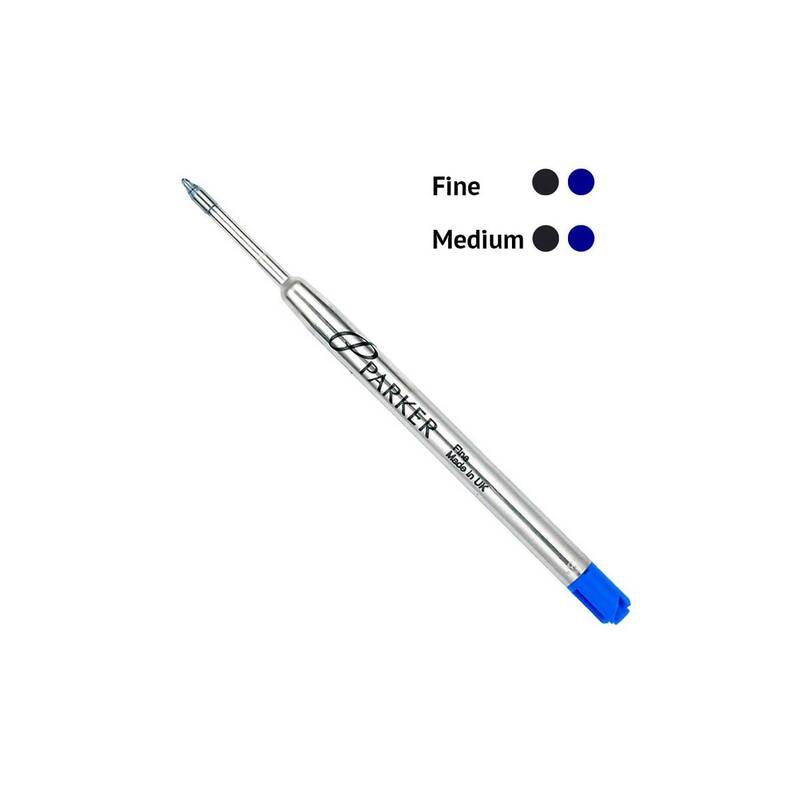 The Parker Standard Ballpoint Refill fits many brands of ballpoint pens that take a "Parker Style Ballpoint" refill. Confirm the shape (body shape, length and crown) match the illustration and dimensions. Black and blue ink colors available in fine or medium points. The famous Parker Quink Flow ink!